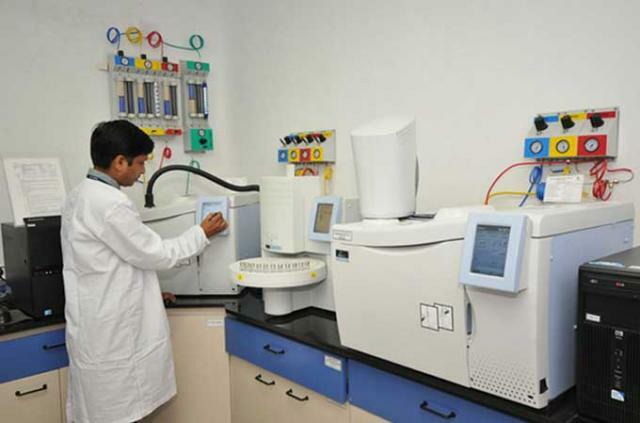 The initial public offering of drugmaker Alkem Laboratories Ltd was oversubscribed more than 43 times, led by non-institutional investors, according to the data collated by the stock exchanges. Non-institutional investors’ bid for almost 130 times the issue reserved for them. While qualified institutional buyers (QIBs) bid for 57 times of the quota reserved for them, retails investors' portion was subscribed over 3 times on the final day. On day one, the issue was covered just 35 per cent, led by retail investors. However, the issue gained momentum on the second day and was oversubscribed 41 per cent led by QIBs. While QIBs and retail investors bid for 2.33 times and 1.27 times, respectively, of the portions reserved for them, the portion set aside for non-institutional investors was subscribed 64 per cent on the second day. Meanwhile, the company raised Rs 395 crore (about $60 million) by selling shares to anchor investors ahead of its IPO. The investors included Abu Dhabi Investment Authority, Morgan Stanley, Apax Global, Kuwait Investment Authority, Grandeur Peak International and DB International. Birla Mutual Fund, ICICI Prudential Mutual Fund, SBI Mutual Fund, HDFC Mutual Fund, Franklin Mutual Fund, Kotak Mutual Fund, Reliance Mutual Fund and IDFC Mutual Fund, among others, also purchased shares of the generic and specialty drug manufacturer. The IPO opened for subscription on Tuesday in the price band of Rs 1,020 and Rs 1,050 per share. At the upper end of the price band, the company will be able to raise over Rs 1,349 crore (about $194 million) through an offer for sale by its promoters and other public individual shareholders, making it one of the biggest public market floats by a drugmaker in India. The company will not receive any money. The offer will constitute up to 10.75 per cent of post-offer paid-up equity share capital of the company. It also includes a reservation of up to 2,98,913 shares for subscription by employees, who are getting a discount of Rs 100 on the offer price. The company had filed its draft red herring prospectus with capital markets regulator SEBI in August this year. It had received SEBI’s approval last month. Alkem makes anti-diabetic, anti-malarial, cardiovascular, immunosuppressants, nutraceuticals and pain management products, among others. It claims to be the top player in the domestic market for anti-infectives and has a strong position in gastro-intestinal and analgesic segments. Established in 1973 in Patna, the company is promoted by chairman emeritus Samprada Singh and his family. Axis Capital, Edelweiss Financial Services, JP Morgan India and Nomura Financial Advisors are managing the issue.